Red Rocks Community College is proud to have transfer agreements with some of the best colleges and universities in the state of Colorado. Your AA or AS Degree will transfer to all Colorado public 4-year colleges and universities if you complete your AA or AS degree with a C or better - and the remaining 60 credit hours in a school or arts and sciences at the four-year public institution of your choice. Be advised that many majors at the four-year school require specific courses, and that must be completed as part of the AA or AS degree. Also, note that some majors may exceed the typical 120 credits required to graduate. Please see an academic advisor for specific college to college course planning. These degrees are 60 credits at the community college level plus 60-68 credits to complete your bachelor's degree. See the Guaranteed Transfer Associate Degrees for specific details. View the full list of degrees that transfer seamlessly to Colorado public colleges or universities in our online catalog. See how your courses transfer to four-year colleges using Transferology. Transfer Your Courses to a Colorado four year seamlessly. A “guaranteed transfer” course is one that is universally transferable among all Colorado public institutions of higher education. Upon admission to another institution, up to 31 credits of coursework will count toward general education requirements for most Associate of Arts, Associate of Science, Bachelor of Arts, and Bachelor of Science degree programs. Take a look at the 125+ courses in 34 subject areas that are guaranteed to transfer. View a list of Colorado guaranteed transfer courses. How do I know which college or university would be the best fit for me? What are the cost differences between 4 year Colorado colleges and universities? If I earn any associates degree will all my credits transfer? How do I apply to my transfer college? What G.P.A. do I need to transfer? How do I transfer out of state? What is W.U.E. and how does it work? Are there transfer scholarships and how do I use them? Can I complete my Red Rocks degree after I transfer? What if my courses don’t transfer? Do grades lower than a C transfer? Do my grades transfer with me? Who is the transfer representative for____________? When do I send my transcripts to my transfer college? Do I have to wait to graduate before I transfer? How do I determine college to college course equivalents? What if I miss the transfer application deadline? There are a lot of factors that go into picking a transfer college. The first question to ask would be if the college you’re looking to attend offers the degree or program you want. Next would be to look into the cost of the college. What is your budget and is that a factor you need to consider? Also, visit the colleges you’re thinking about to see if you like the location, size, and feel of the campus. Most four-year colleges and universities offer open houses, visit days, or transfer days. This is a great way to check out the college and see how it may fit you. Check this College in Colorado website to compare the different tuition costs for Colorado colleges and universities. It depends on many factors. The most important factor to consider is the college you transfer to and the major you choose. As soon as you know what major you want to pursue and what college you want to transfer to, work with an advisor to create a transfer plan and follow existing transfer agreements. The Associate of Arts or Associate of Science degree is a good place to start, particularly with the general education requirements. Meanwhile, work with a career coach or take a career development course to explore your career and educational options. GT Pathways are general education courses guaranteed to transfer to another Colorado college or university. For more information on GT Pathways refer to the Colorado Department of Higher Education website. DWD stands for Degree with Designation. These are complete Associate Degrees that if completed within a ten-year period will be completely transferrable to the four-year colleges and universities that are listed as part of these transfer agreements. Upon acceptance to the four-year college or university, all 60 credits will be accepted and an additional 60 credits will need to be completed at the receiving college. The current degrees include Agriculture Business, Animal Science, Anthropology, Business, Criminal Justice, Economics, French, History, Mathematics, Political Science, Psychology-BA, Psychology-BS, Sociology, Soil & Crop Sciences, and Spanish. Visit the Colorado Department of Higher Education website to see all the DWD’s in detail. Associate of Arts and Associate of Science degrees are intended to be transferable degrees. The complete transferability depends on what college you intend to transfer to and what major you are pursuing. Once you know the major you want to pursue and the college you intend to transfer to you can complete your Associate of Arts or Science degree by taking the specific courses that articulate with your specific major and college. It is always a good idea to use the assistance of an academic advisor at both Red Rocks and the college you intend to transfer to. Associate of Applied Science degrees generally do not completely transfer, however, courses may transfer on a course-by-course basis. Regis University’s College of Professional Studies does accept many Associate of Applied Science degrees in full toward their Bachelors of Applied Science degree. Start thinking about transfer as soon as you know you want to obtain a bachelor’s degree. 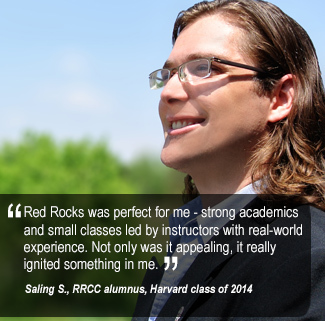 In many cases, you can transfer up to two years of college credit from Red Rocks. There are, however, some college majors and specific colleges that require you to transfer sooner. You can generally be considered a transfer student after having completed one year of college or 30 transferable credits. The University of Colorado has a guarantee transfer promise that transfers students into their College of Arts and Sciences after completing 30 transferable credits with at least a 2.7-grade point average. There are two steps. Once you have decided on a major and you know what college you want to transfer to, first, set up an appointment with an advisor and go over the transfer requirements for that degree and the college you are choosing. You can get started by looking up many of the published transfer guides on our Four-Year College Transfer Guides page; second, visit the department of your major at the college you plan to transfer to and get specifics on your program. Show them the transfer plan that you and your Red Rocks advisor have worked on and get feedback from them on your transfer path. You may want to make adjustments on your class plan based on your visit. Your transfer team will be your Red Rocks advisor, your four year college department advisor and yourself. This is an ongoing relationship. It is generally suggested that the earlier you apply the better. So if you are planning on transferring in the fall semester, plan on applying as early as the fall semester the year prior. Most colleges will have application deadlines. For the University of Colorado at Boulder, the application deadline for transfer students is March 1st for the fall semester and October 1st for the spring semester. For Metropolitan State University of Denver, the application deadline for fall is July 1st and December 13th for a spring semester start. It depends on two things; the college you are transferring to and the major you are pursuing. There may be a specific G.P.A. required to be admitted to the university you are applying to and also a specific G.P.A. to be admitted to a college within the university. For instance you may be admitted generally into the University of Colorado at Boulder with a 2.7 G.P.A., however, you may need a 3.3 G.P.A. to be admitted to the College of Business within the University of Colorado at Boulder. It is recommended that you meet both with your academic advisor at Red Rocks and also with a transfer advisor at the university you are considering. Transferring out of state will be dependent on the transfer requirements of the specific college or university you are transferring to. Many colleges and universities list their transfer requirements on their website. You can also email admissions representatives whose names are generally listed under the admissions or transfer areas of the website. You may also meet with an advisor who may have some other suggestions and guidelines for you to take into consideration. W.U.E. stands for Western Undergraduate Exchange. W.U.E. is a consortium of two and four-year colleges and universities that offer tuition breaks for colleges who are members of the consortium. The following information is from the W.U.E. website. Students who are residents of WICHE states are eligible to request a reduced tuition rate of 150% of resident tuition at participating two- and four-year college programs outside of their home state. The WUE reduced tuition rate is not automatically awarded to all eligible candidates. Many colleges limit the number of new WUE awards each academic year, so apply early! WICHE members include Alaska, Arizona, California, Colorado, Hawaii, Idaho, Montana, Nevada, New Mexico, North Dakota, Oregon, South Dakota, Utah, Washington, Wyoming, and the U.S. Pacific territories and freely associated states. Reverse transfer refers to students who leave their home college and take classes at another college with the intent of transferring those courses back to their home college. Usually, this happens when students are home for the summer and take community college coursework close to home. Most colleges and universities offer scholarships for transfer students. These scholarships will vary from college to college. Check the transfer institution's website for more details. Each college will have its’ own scholarship deadlines. The majority of scholarships for transfer students will be for both the fall and spring semester of the upcoming year. Check with the college or university transfer advisor and with your Red Rocks advisor for specific scholarships, scholarship requirements, and deadlines. Yes. You will need to transfer the classes you still need to complete your associate’s degree at RRCC from your transfer four-year college or university back to Red Rocks. The classes that apply to your Red Rocks degree will have to match what is being transferred in and will have to be evaluated by the Red Rocks transcript evaluator. The Colorado Community College System (CCCS) is working on a new initiative which would make it much easier for transfer students who transferred prior to completing their associates degree to complete their degree with classes taken at the four-year college or university. It depends on what type of classes you’ve taken and what college or university you are transferring to on whether or not credits will transfer. It’s always a good practice to check if your class will transfer before signing up for the course. If the class doesn’t transfer you may be required to fulfill more credits at your transfer institution. No, only classes where you have received a C- or better will transfer. No, just your credits earned with a C- grade or better transfer. The actual grades do not transfer over. There are certain colleges and programs that will look at your cumulative GPA. This means that they will take all the grades from all the colleges you’ve attended and add them up to get your overall GPA. Visit the Transfer Representative Visits page to view all the transfer representatives for four-year colleges in Colorado. You send your transcripts when you fill out your application to your transfer college. You should fill out your application the semester prior to when you are going to start at your new college. Check with your transfer college for specific application deadlines. It depends on the program and your overall goal. 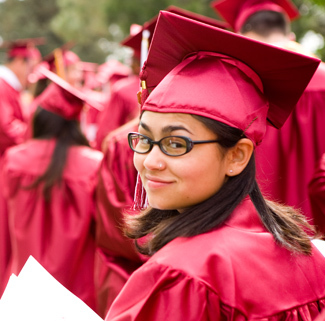 Receiving your associate degree prior to transferring has many advantages. You will apply to your transfer college prior to graduation. You will usually apply the beginning of your last semester at Red Rocks. If you have more questions concerning whether you should transfer now or wait until you complete your degree schedule an appointment with an academic advisor. You can do so by filling out the Appointment Request online form here. Most four-year colleges and universities have developed transfer guides, many of which can be accessed on our Four-Year College Transfer Guides page. If you have questions about prior credits you have taken at another institution you will want to have your transcripts evaluated. Transcript evaluations are done by the Records Department at RRCC. If you miss the deadline you will most likely have to wait until the following semester to apply. It’s always good to check with the college you are looking to transfer to and see if they take late applications. Mon-Thurs 8 a.m. – 5:30 p.m.
Friday, 9 a.m. - 4:30 p.m.